Wood May 27 2018 11:44 am This man is the best! He should be at high 90s or a 100. A very remarkable actor. He dominated with his role as El Temur in the Empress Ki drama. He's the best! Hwl Jul 05 2017 4:39 pm Awesome actor!!! Jherad May 08 2017 10:36 pm Seasoned actor and his performance in so many dramas and movies is a testament to his acting expertise. One of the reasons I look forward to watching Korean dramas as he never disappoints. Lavieenrose Oct 16 2016 9:22 pm Crazy old man!!!!!!!!! Sharon Tuckson Aug 03 2016 7:40 am This Man made me hate him, when he came dragging the Emperor to sign that document. He did well. Lee Seo Hwa Apr 06 2016 10:19 am He is like the god actor, general choi young and Empress Ki really went well! <3 This old man is something, he should be 100%! lee catnip Oct 10 2015 8:59 am I think he's also in Yong Pal, if I'm not mistaken. 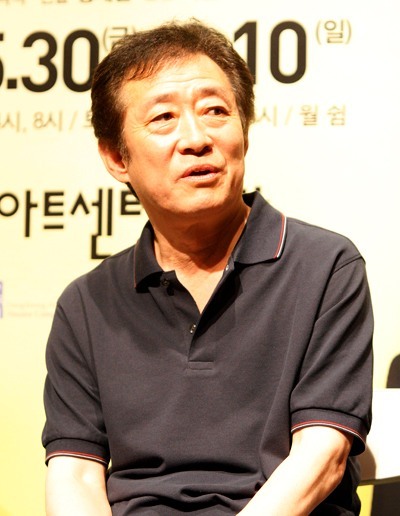 He played Kim Tae Hee's dad. If it's so, then, how come it's not among the drama series? Socorro Jan 16 2015 3:27 am tHUMBS Up !!!!!! :-) Very effective actor. Good job Korea. tp Dec 09 2014 5:10 pm He's an amazing actor but also very annoying at times. Good luck! sally Nov 06 2014 4:43 pm No one would have played El Temur more perfectly than this guy! he is just amazing! Love drama Jul 02 2014 4:09 pm Jeon kuk Hwan was good acting at doctor stranger! Good job! I love your drama tv show! tshan Jun 30 2014 8:57 am he is awesome as el temur, he needs to get more recognition for his acting! biba Apr 20 2014 10:21 pm you acted just perfect as El Temur! Zipper Mar 25 2014 4:14 am Great actor, his take on El-Temur was amazing to watch such a scary villain. He needs to Oscar for that role. Sam Mar 14 2014 11:03 am What an astounding actor. I love this man, he is excellent. Anne Lindberg Nov 28 2012 2:01 pm An amazing actor. Always giving the convincing impression to the character. Thumbs up.